You know the drill - grab a button and link on up! Be sure to stop by some other blogs and make some friends while you're at it! 1. I went to the thrift store yesterday and bought Christmas decorations. You know those buildings that make a village? Yeah, they had those, and we bought six. We also bought a couple of wreaths. I'm really excited, because we paid almost nothing for all this great stuff! 2. We went grocery shopping for the first time in over a month yesterday. Like, we were to the point of having almost nothing but canned beans in our food storage area. We left WalMart with two carts full of groceries so that we could re-stock our food supply and storage. 3. I hate grocery shopping with a passion. This is probably why it took us five weeks to make a trip to the store. 4. I like fake Christmas trees. As in, I prefer them to the real ones. Mike wants us to get a real tree this year, and I told him it was the last year we are going to do it. Fake trees are so much more cost effective, plus our cat won't be as likely to eat the tree. 5. I'm SO excited for Christmas. That's probably why I'm so focused on it. We won't have a big Christmas this year since I don't even get Christmas Eve off of work, and we are trying to save money for baby, but I just love the spirit of the season. 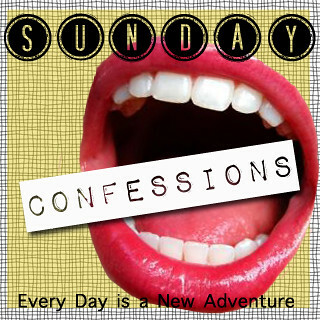 So... there are my confessions. Have you entered this giveaway yet? How about this one? I am kinda getting in the holiday spirit as well...we just splurged on a new artificial tree yesturday, our other $50 tree lasted us 12 years, and it felt great to upgrade to something our presents will fit under, lol! Oh, and your cat will totally still eat the fake one. Both of our cats did, and then puked it up all through the house...it;s gross. I love Christmas and it's amazing how you can decorate without spending much. Felt is my friend at this time of the year! I prefer the fake Christmas trees, too! It's just so much easier. I like the prelit ones so we don't have to struggle with tangled lights, etc. And my hubby always wants a real one. It's an argument we have every year! I also prefer fake Christmas trees! Money and cats have a lot to do with it. 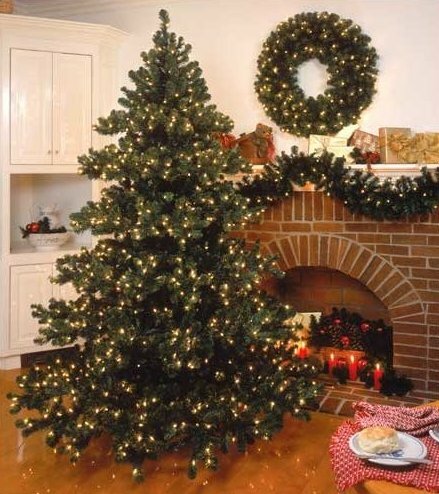 My family had real trees growing up, and I just remember a bunch of pine needles all over the floor. Oh, and it fell on me once. I was okay; I hid under the piano bench. I walked in to work yesterday and one of the girls had this 2-foot tall snowman that she crocheted sitting on her desk. Staring at me. I can't wait till Christmas, I will be spending it in Sicily. I am following you from Rome. Have a nice Sunday. I hope you will follow me back. OMG--Grocery shopping is my least favorite task in the entire world. Seriously, meal planning makes life so much easier. We're Christmas shopping today and hopefully getting our fake tree up tonight :D! Now you just need one of those little trains that runs through your mini city! I hate grocery shopping with a passion. I LOVE grocery shopping. I hate real trees. Those are my confessions, lol. I am not in a Christmas mood at all. I wonder if I will be in the mood soon. My bunnies like to eat Christmas trees. Have a great week! I have a love/hate relationship with grocery shopping and do the same thing: avoid the grocery store until I HAVE to restock the pantry. Unless I am buying food for a party, then I love wandering the aisles picking up snacks and appetizers. I like your idea of fake xmas trees, although I think just having a wreath is enough decorations for me. have a great day & a belated congratulation on your new baby. SO with you on the grocery shopping- I detest it and usually beg my hubby to go for me! I confess that I was so busy shopping yesterday that I baaaarely paid attention to the game ... but when I heard about it after, I almost had (another) heart attack. Those Huskers will be the death of me. I prefer fake trees, too! But then again... I've never had a real tree. Fake ones seem so much easier, and you can keep them for a few years. I've already put up my Christmas tree, and some Christmas decorations. My husband is deploying soon, and won't be here for Christmas, so I thought I'd decorate early. haha sinner! You can't put that stuff up until the Christmas gap (i.e. after Thanksgiving). I guess we can still be friends because I love Christmas too ;) I can't wait, but we are just doing a small Christam too. The spirit and cookies are all that matters in the end right? Wow you got some amazing little decorations at the thrift store! How much did you pay for the whole village? They are so pricey at the store! I'm looking forward to Christmas too yay! If we lived in the same place, I would do your grocery shopping for you. It's my favorite kind of shopping. I love it. 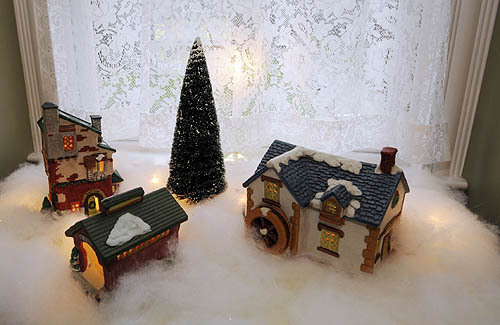 I collect those little snow village houses and I just love them - my favorite Christmas decor by far. And I LOVE fake Christmas trees too: 1) not allergic 2) our real trees would fall and break ornaments and 3) they're just so pretty and perfect looking. I hate grocery shopping too! SO MUCH! This last week I planned two weeks worth of meals in hopes that I won't have to go back to the store for at least the two weeks... We'll see. Seems like we ALWAYS need milk or something. I love Christmas but I am a bit disappointed by your allegiance with fake Christmas trees. And what in the world do you eat without going grocery shopping for so long??? Yay for Christmas, boo for grocery shopping. We have a fake tree too, for now. I grew up with fake, my husband with real. Eh. I'm allergic to real trees. Fake is less of a hassle!